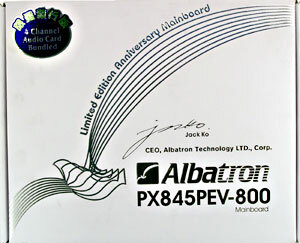 The board is similar to PX845PEV Pro; this is a special edition released in limited quantities for Albatron's anniversary. The PCB is black, the heatsink sports funny color music, and one extra centimeter of textolite is graced with board's full name and CEO's signature (Jack Ko). The layout is different from traditional, though it doesn't make the board more convenient in PC assembling. But it makes it narrower. 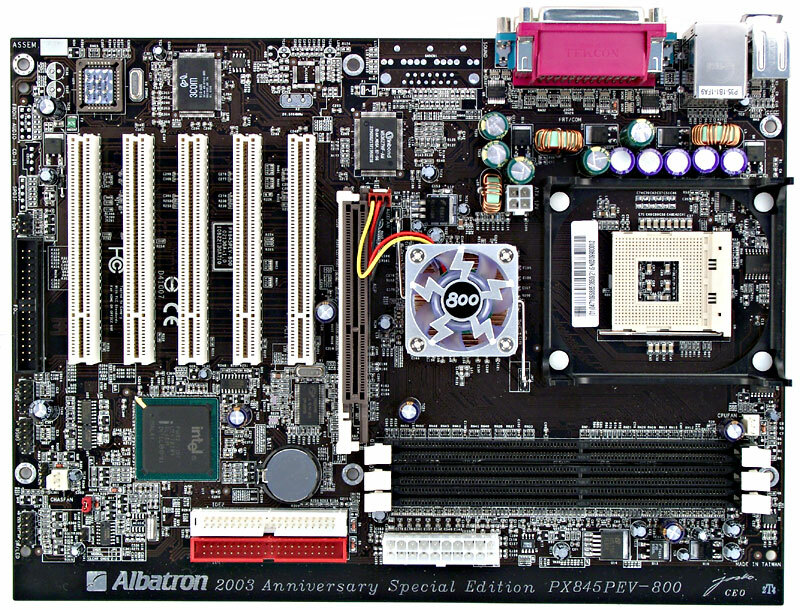 As a result, IDE slots are placed behind PCI and several connectors are shifted to the left edge. 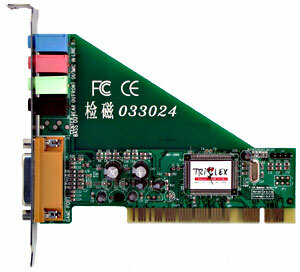 A video card inserted may lock memory modules. It's not difficult to reach the only jumper when the board is already installed. Its functions are shown on the textolite. The 2-channel switching voltage regulator incorporates 7 capacitors of 2200 uF and 3 of 1500 uF. Also, there are voltage regulators for the AGP and memory buses. network controller based on 3COM 910-A01 chip with 10BaseT/100BaseTX supported. 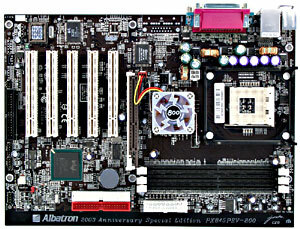 The board has protection from video cards which do not support 1.5V power supply. 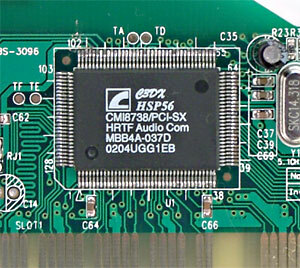 Non-unsoldered connectors: audio codec chip and its connectors. temperatures of the processor (built-in sensor) and the board (built-in sensor). There are 2 connectors for adjustable connection of fans (one of them is connected to a fan on the north bridge's heatsink) and one for unadjustable connection. Brief board's characteristics: memory slots - 3 DDR SDRAM; expansion slots - AGP/ 5 PCI; I/O ports - 2 COM/ LPT/ 2 PS/2/ 6 USB 2.0; dimensions - 305x215 mm. We used the BIOS R1.00 as the latest available version. The board might be interesting for collectors and those who need the guaranteed support of the new FSB at a relatively low sum of money.